BOWMANVILLE, Ontario -- Ford Chip Ganassi Racing earned its second win in two weeks behind a brilliant pit strategy and the strength of its Michelin tires. For the second race in a row, the No. 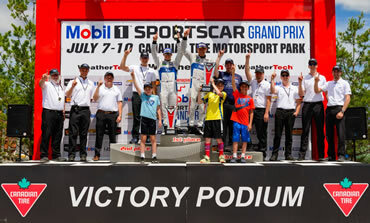 67 duo of Richard Westbrook and Ryan Briscoe stood atop the winners’ podium, this time at Canadian Tire Motorsport Park near Toronto. It’s their third win together and fourth overall for the team. The No. 67 chose to split with the GTLM pack and take only fuel on their last pit stop, shortening their time on pit lane. Despite stopping, they retained their lead and their faith in their Michelin tires paid off with a win. Westbrook and Briscoe teamed up for Ford GT’s first win at Laguna Seca in May. Then it was their teammates’ turn, as Joey Hand, Dirk Müller and Sébastien Bourdais finished first at the Le Mans 24. 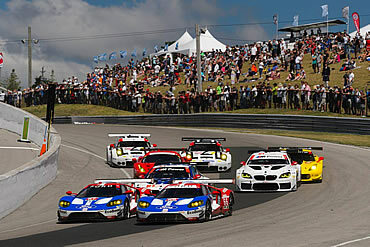 Watkins Glen saw Westbrook and Briscoe return to Victory Lane at the Sahlen’s Six Hours of The Glen.